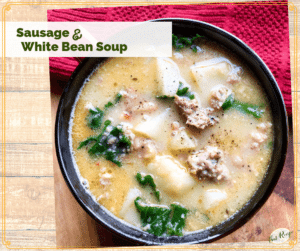 This Tuscan Sausage and White Bean soup makes a wonderful rustic and hearty meal. 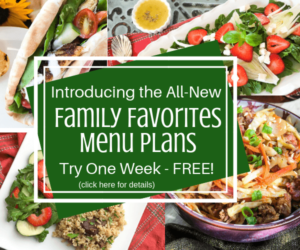 Throw it in the slow cooker and come home to a warm and satisfying meal. This recipe makes use of a wonderful flavor booster: Parmesan cheese rind. That hard end piece that is too tough to grate adds “umami” the so-called fifth taste element. I’m sure Italian grandmothers didn’t know scientifically why it worked, they just knew the soup tasted better and they didn’t want anything to go to waste. So be sure you save yours from now on to add to your soups and sauces. 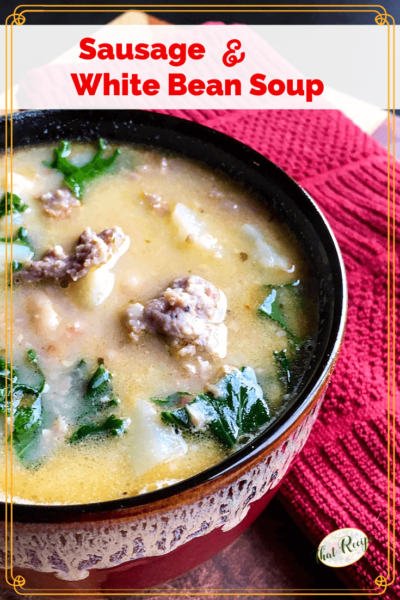 Rustic and hearty Slow Cooker Tuscan Sausage and White Bean Soup recipe. Delicious slow cooker sausage and kale soup ready to comfort you on a cold night. Brown pancetta in large skillet over medium-high heat for 2 or 3 minutes, stirring occasionally. Add sausage to the same skillet and brown, breaking it up into small bite-sized chunks with a spatula while it cooks. Remove from heat and carefully drain excess fat from pan. Transfer pancetta and sausage to a 5 or 6-quart slow cooker crock. Puree one can of cannellini beans (undrained) in a blender or food processor. Drain and rinse the other can of cannellini beans and add the puree and whole beans to slow cooker crock. Add 6 cups chicken stock, red pepper flakes, chopped onion, potatoes, and Parmesan cheese rind to crock and stir to combine. Season with salt and black pepper, to taste. Cover and cook on high for 3-4 hours or low for 6-7. Remove lid and add tempered half and half, kale, freshly grated Parmesan cheese and remaining chicken stock, if necessary, to achieve the desired consistency. Stir to combine and allow 5-10 minutes for kale to soften before serving. For less salt, drain and rinse both cans of cannellini beans before pureeing one can with a little water. To prevent curdling, temper the half and half before adding to the soup by adding a little bit of the hot liquid to it before stirring it into the slow cooker crock.